Lithuania suggests making better use of the opening opportunities for the cooperation of the so-called Nordic Bow that includes the Nordic-Baltic countries and the United Kingdom. 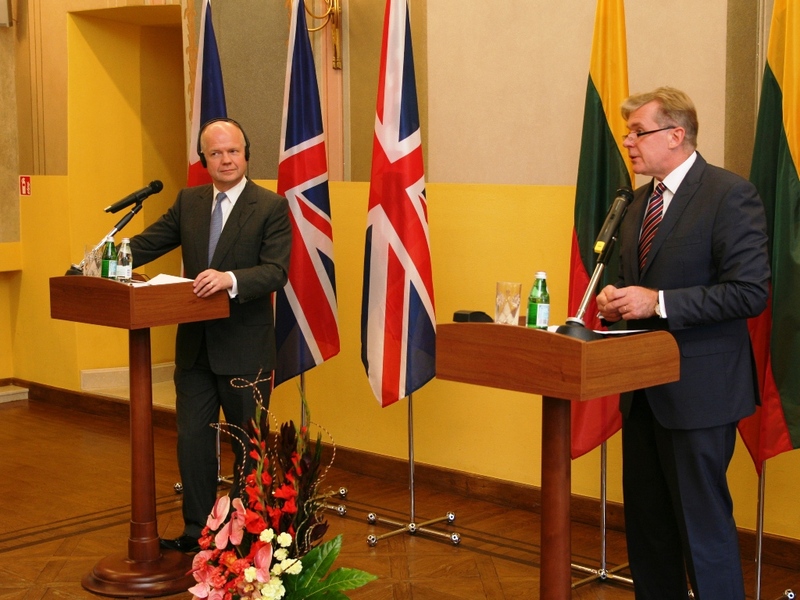 On 18 July in Vilnius, Lithuanian Minister of Foreign Affairs Audronius Ažubalis met with Secretary of State for Foreign and Commonwealth Affairs of the United Kingdom William Hague to discuss cooperation opportunities. “The Nordic Bow stands out as a unique area, which is characterized not only by good economic dynamics, but also by its wide-ranging expertise. Intensive security cooperation between the Nordic-Baltic countries and the United Kingdom in the European Union, active sharing of internal policy expertise will help us to successfully overcome the current downturn and lay deeper foundation for prosperity and security of the region,” Ažubalis said. He suggested that the Nordic Bow, consisting of the United Kingdom and eight Nordic and Baltic countries (Nordic Baltic Eight, NB8), should further cooperate not only at the level of heads of State or Government, but also at the ministerial level, and discuss and exchange best practices in various fields. The Lithuanian Minister and British Foreign Secretary also discussed further bilateral and regional cooperation, important EU issues, aspects of international security, energy policy, EU relations with its eastern and southern neighbours. Ažubalis presented the country’s preparation for the upcoming Presidency of the EU Council and foreseen priorities of the Presidency. 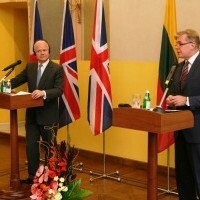 Ministers agreed to intensify bilateral cooperation in preparing for one of the most important events during Lithuania’s Presidency - the Eastern Partnership Summit – which is due in Vilnius in November 2013. Ažubalis thanked for the UK’s support for the extension of the NATO air policing mission in the Baltic States after 2014 and invited representatives of this country to get involved in the activities of the new Vilnius-based NATO Energy Security Centre of Excellence.